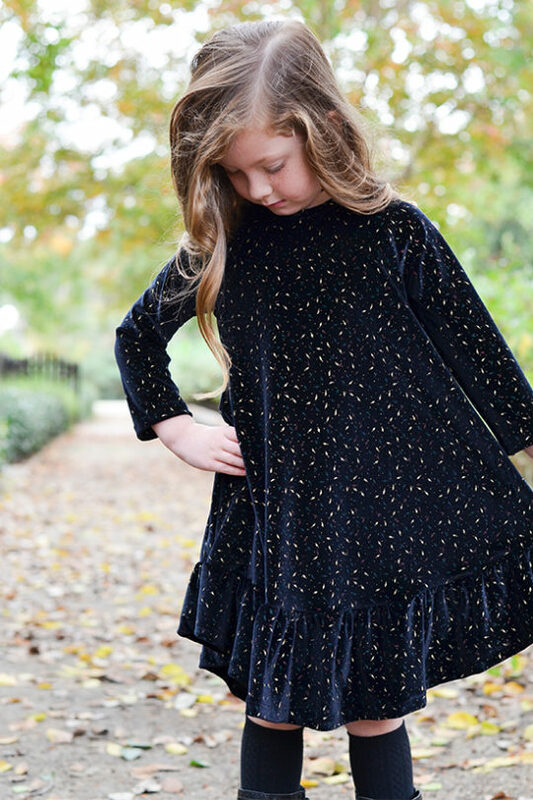 The Girls’ Waterfall Raglan is a relaxed knit top or dress with a gathered ruffle hem. 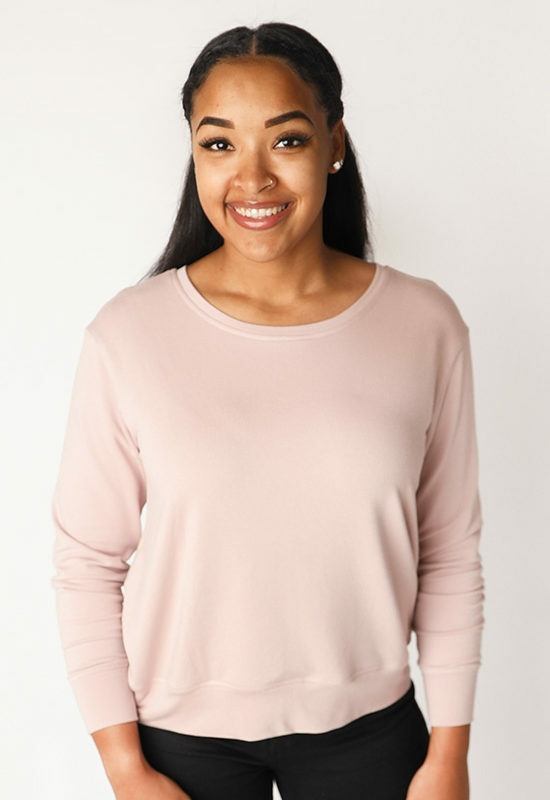 There are three sleeve options: short, 3/4 and long sleeve, along with a small pocket option. 2 neckband options are included for each size and a knit stretch guide to help achieve the perfect neckband fit. As usual with Gabriela’s pattern, this one is so professional and the instructions are very well written and easy to follow ! The result is lovely and so comfy ! I love this pattern. 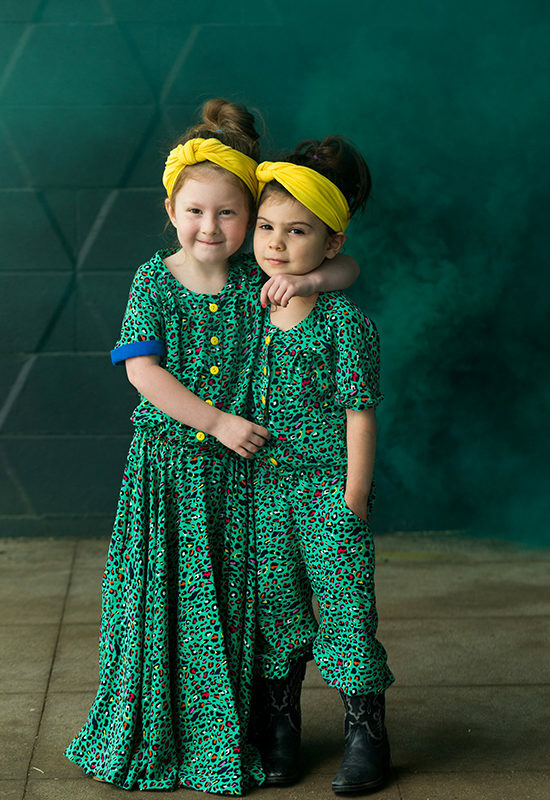 The relaxed fit allows my girls to share clothes which they love. The variety of options allow for quite a few combinations making this pattern great for all seasons! A beautiful pattern with clear illustrations and excellent, easy-to-follow instructions. A perfect pattern for those starting to sew knits, and great for anyone learning to sew. I LOOOVE this pattern. 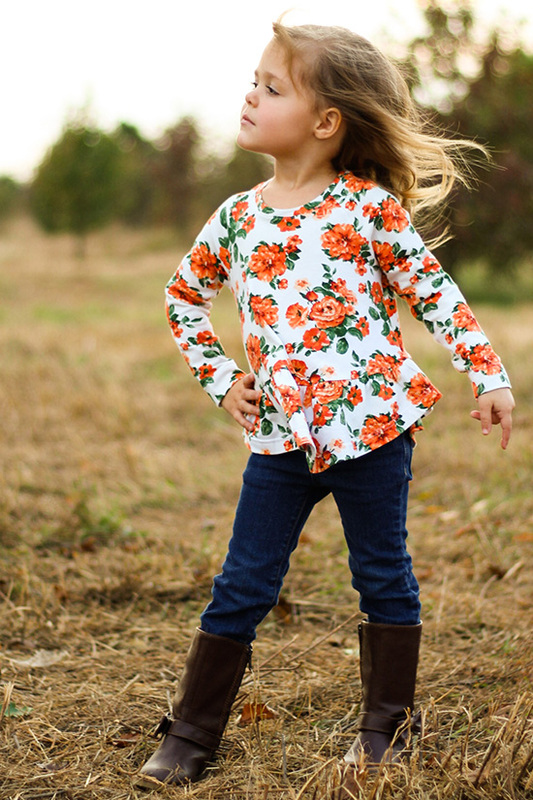 It has become my go-to dress and top pattern because it is a quick sew with great, stylish results. In the last 3 weeks I’ve made 2 dresses and 2 tops and have more planned! Great pattern, really! I only made tops and I must try a dress version! The Step by step is really clear. A nice, neat and easy to wear garment! A must have!!! Beautiful pattern, amazing instructions, and perfect fit!